More than a month after the launch of the new iMac, Apple still cannot provide adequate supply of its redesigned desktop, as resellers remain completely barren. Apple's online store was updated on Monday to reflect shipping times of between three and four weeks for new orders of its redesigned 27-inch iMacs. Previously, orders were advertised to ship "in January"  a change that was made last month to let customers know their orders would not ship before Christmas. With three-and-a-half weeks left in the month of January, the change in estimated shipping times may not represent an outright delay, but the continued wait is yet another sign that Apple is unable to produce enough iMac units to meet customer demand. 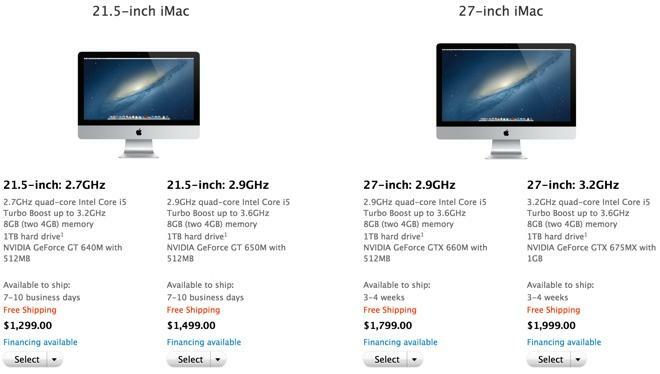 AppleInsider can also confirm that Apple's reseller channel is completely out of 21.5-inch iMac units. The 21.5-inch model is advertised at Apple's online store to ship in 7 to 10 business days, while resellers are feeling the squeeze as Apple struggles to meet its own demand. 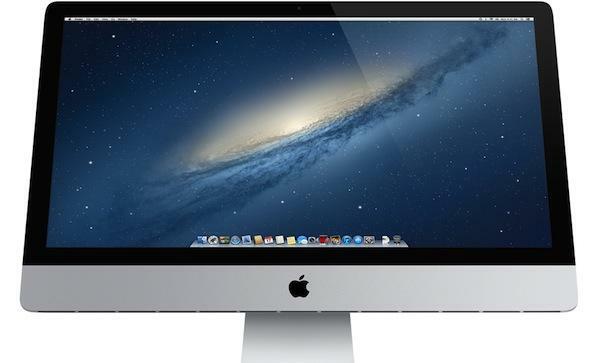 The 21.5-inch iMac became available in late November, while the 27-inch version saw limited availability in mid-December. Estimated shipping times through Apple's online store quickly slipped after sales began. In fact, iMac inventory has been in short supply at resellers since September, as Apple began to draw down production ahead of its update. Some major resellers had completely run out of stock of the iMac months before the new models debuted. Apple Chief Executive Tim Cook signaled in October that his company would face a "significant shortage" of iMacs in the December quarter. And analyst Ming-chi Kuo of KGI Securities said in August that the new screen lamination process used in building the new iMacs is particularly difficult with the larger 27-inch model. The redesigned iMac has an aluminum frame that's 5-millimeters thick at its edge, and also features a reengineered display which reduces reflections by 75 percent. It also features new quad-core Intel Ivy Bridge processors, and Nvidia GeForce graphics processors with up to a 60 percent boost in performance. Last week, Apple began offering its new hybrid Fusion Drive on entry-level 21.5-inch iMac orders. Previously, that option was limited to the 27-inch model and high-end versions of the 21.5-inch model.